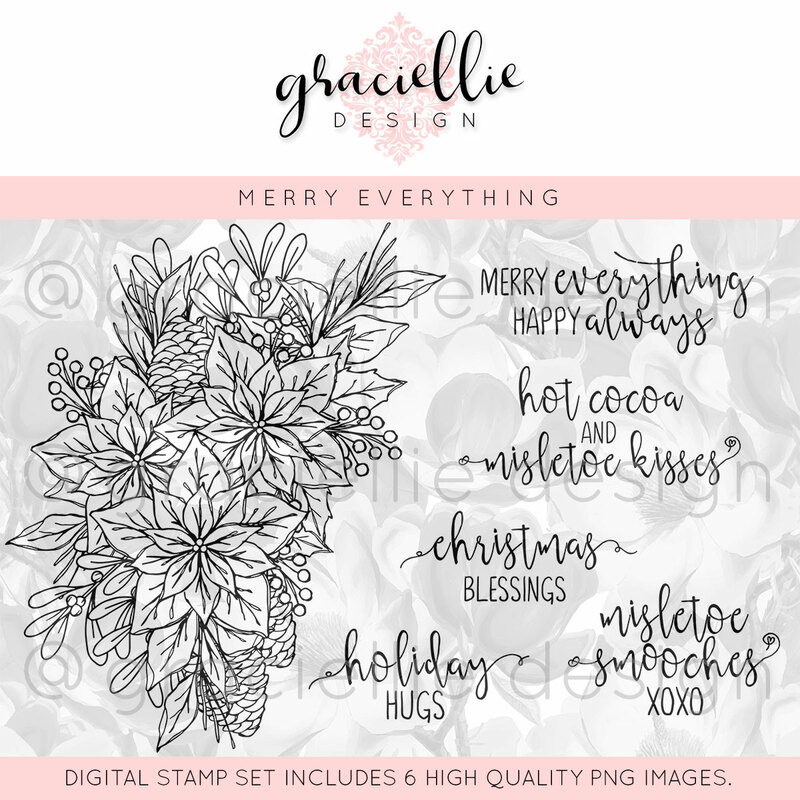 Christmas is just around the corner, so today I have a holiday card to share with you using Graciellie's new "Merry Everything" digital stamp set. This is my first attempt at no-line coloring with pencils/markers --- I'm thinking I should have started with something a little less complicated! This is such a pretty card! I love the embossing! so pretty, I think you did a wonderful job with the coloring, I love the pinecones with the flowers! 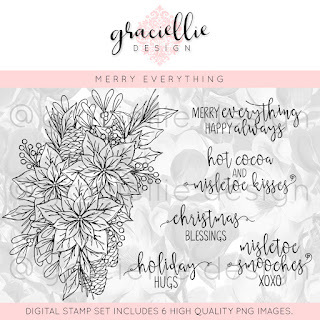 Beautiful Christmas card! Thanks for joining us at Make My Monday.